Stock photography has a middling reputation among bloggers, businesses and other people who need a constant stream of images for their websites. It is regarded as a basic option for lazy people who are willing to use images that have already been used by countless other people. In short, stock photography is not thought of as being a legitimate option for creative writers who want to use equally creative images to illustrate their work. A good stock photo is really just an image that can reliably conjure up a strong emotion in anyone who looks at it. Other image houses think that the key to stock photography is making sure that the photos lack specificity. They place people in front of blank backdrops and direct them to make a series of exaggerated expressions. Sometimes the models are photographed doing easily recognizable activities such as eating, doing yoga or working at a desk. The pictures are always heavily filtered, and the models never look completely convincing in their poses. The photos look like caricatures, not authentic stock images that could be used to honestly represent serious or complex ideas. If PC is not for you, checkout my review of Depositphotos here. Photocase reviews prove just how impressive the company’s collection is. Even though the business’ headquarters is located in Berlin, the pictures are relevant to all ways of life in every part of the world. The pictures in the gallery depict real moments that were captured as they were happening. They do not have the false sense of being planned or posed that permeates so much typical stock photography. These photos elevate moods. Sometimes they even set the stage for certain emotions before an article is read. Creative stock photos are augmentative tools. Though many people view them as rote illustrations that literally depict the content of an article, good writers are able to choose pictures that accomplish more than that. They know how to select pictures that amplify their messages, even if the pictures are not specific illustrations of their written content. Photocase caters to these writers, whose use of authentic stock images inspires the company’s curators to continue seeking out unconventional images. They want to do right by their writer customers, who depend on them to provide them with pictures that are worthy of their work. One does not have to be a photographer himself to understand the value of strong photography as a reflection of good writing. 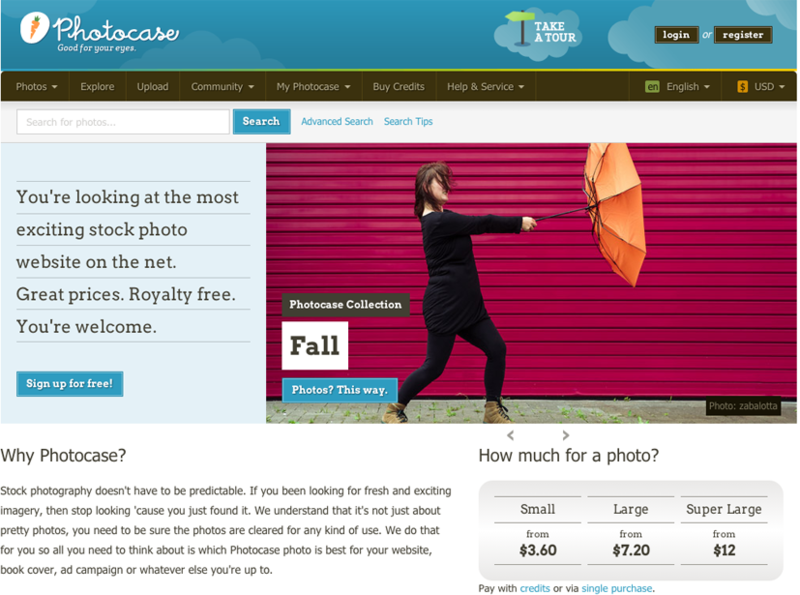 Photocase reviews praise the house for presenting clients with images that are actually representative of real life. Obviously they are more stylized versions of reality, but the point is that writers are able to see their life experiences reflected in these pictures. That component is vital when a writer is setting about to choose one or two pictures to help him convey what he is trying to say. Writers trust this company to provide them with the best images for their most emotional and significant pieces for a reason. No other online gallery contains stock photos that feel so much like candid, once-in-a-lifetime moments. Get Your DepositPhotos Coupon Codes before They’re Gone Forever!